Do your dining and shopping all in one stop — these restaurants sure beat out the standard mall food court! From The Magnificent Mile to neighborhood street markets, Chicago is well known for its first-rate shopping. What you might not know is that some of our top shops hold a secret amongst the frills and finery: top-notch kitchens. Here are some in-store dining destinations to keep you fueled up during your Chicago shopping adventure along The Magnificent Mile and downtown Loop. Whether you&apos;re looking for stylish office attire, home furnishings or beauty products, it&apos;s a sure bet you&apos;ll find what you&apos;re hunting at Barneys New York. It&apos;s also a great place for a relaxing meal. Fred&apos;s Chicago, located on the top floor, offers a great view of Lake Michigan. Try the Baltimore crab cakes or the famous Mark&apos;s Madison Avenue salad — all while gazing out over the Chicago skyline. Hit this posh fourth floor space for fine dining and creative spoonfuls like the Mandarin Orange Soufflé. At Mariposa at Neiman Marcus, pair one of the sumptuous seasonal entrée selections with a fun cocktail concoction while checking out the latest fashions. 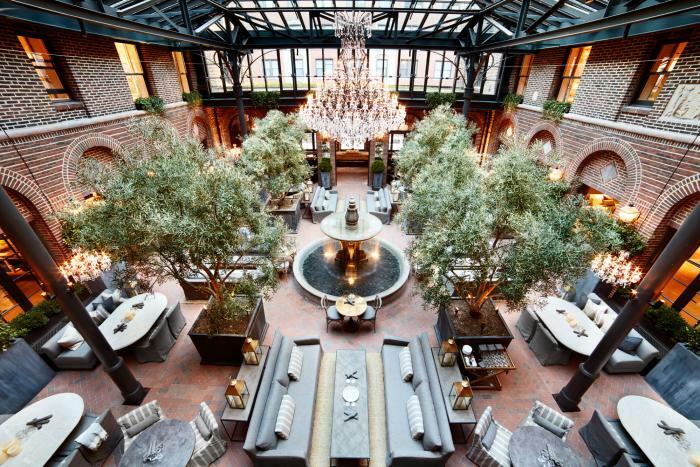 After you&apos;ve located the perfect sconces for your foyer at home store Restoration Hardware, catch your breath in the 3 Arts Club Café. The truffled grilled cheese on house-made sourdough bread will stoke your fire so you can power through the search for a door knocker that really sets off your home&apos;s entryway. 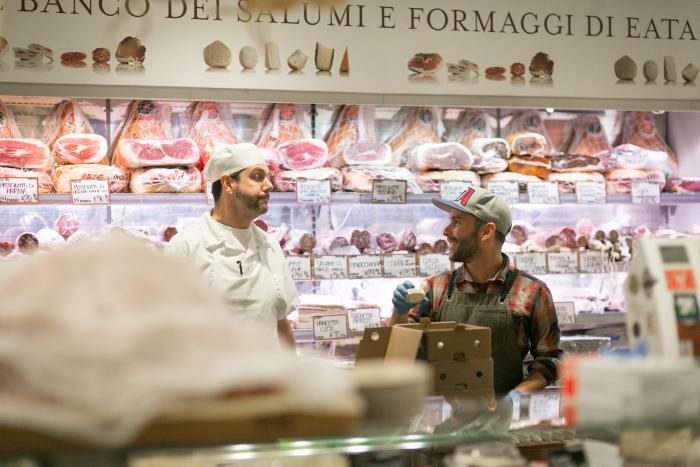 Eataly Chicago is a vibrant Italian marketplace that features an array of caffés, counters, restaurants and even a cooking school. Pick up a few of the dozens of types of fresh pasta for yourself, or search for gifts among the cookbooks, wine bottles and seemingly endless array of premium olive oil before slipping over to Caffé Lavazza (or any of the other restaurants or caffés) for an after-shopping bite to eat. Macy&apos;s is a one-stop spot for shopping, even if your fashion foray spans mealtimes. On the seventh floor you&apos;ll find the Seven on State food court. There&apos;s everything from Japanese noodles to freshly made soups or salads, sandwiches, burgers and Mexican food. Chef Richard Sandoval&apos;s multi-sensory experience features 10 innovative kitchens, a tapas restaurant, coffee café, full bar and lounge. 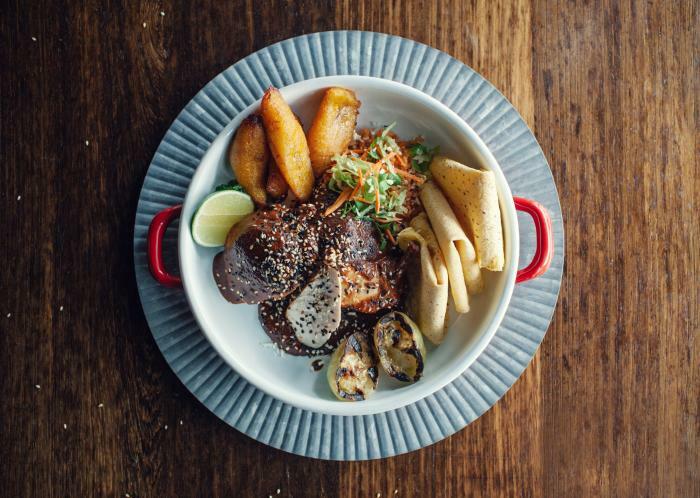 Located on the third floor of Block 37, the colorful food hall Latinicity provides a delicious twist on Latin street food, a multi-sensory experience featuring ten innovative kitchens, a tapas restaurant, coffee café, full bar, market and lounge. Indulge as you shop at these Chicago candy shops. What&apos;s a shopping trip without chocolate? If you want to satisfy your sweet tooth Ghirardelli has you covered, serving everything from a simple brownie to the family filling Earthquake sundae. Top it off with a mocha or pumpkin pie latte to power that second trip through the shops. 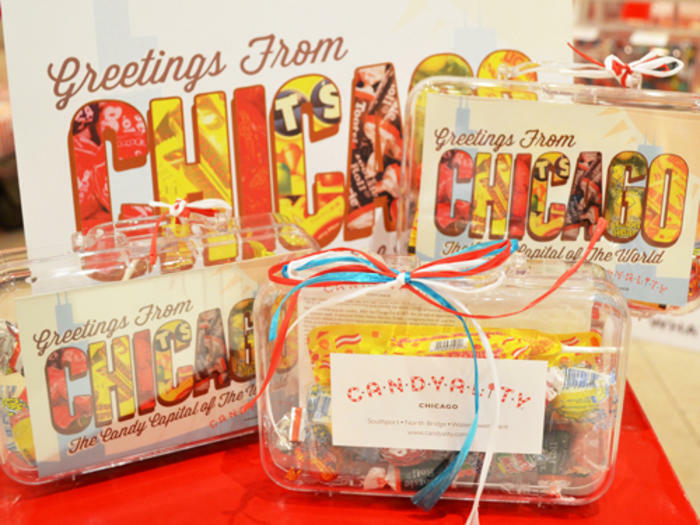 Chicago is the candy manufacturing capital of the world, and Candyality is at the epicenter of all that sweetness. Pick up all your childhood favorites, from Gummy Bears to Jelly Belly beans, and try out something new while you&apos;re at it. Before you go visit them at candyality.com and get your very own "CandyScope" to find out what type of candy personality you have. Think popcorn is boring? You&apos;ll eat your words, along with a huge helping of sweet and salty goodness, at Garrett&apos;s. Sure, you could go with an old favorite like Buttery, but why not try the Almond CaramelCrisp? How about Buffalo CheeseCorn and Buttery Ranch Mix? They&apos;ll even make you a giant custom tin of several flavors mixed together. Sometimes a regular box of sweets just won&apos;t do. If it&apos;s hand-made fudge and chocolate creations you crave, head over to Windy City Sweets. The chocolatiers at Windy City create one-of-a-kind chocolate creations on site daily, so each trip to the store means a new favorite every time. The store has something for every holiday, and an entire section called "Just Because." Yes, they have cupcakes. Loads of them, in every conceivable flavor. But there&apos;s so much more on the menu at Magnolia Bakery, including cheesecake, icebox pies, cookies, brownies and the shop&apos;s specialty - Magnolia Bakery&apos;s Famous Banana Pudding. If all that&apos;s too much to take in, you can always fall back on the classic Red Velvet Cupcake.